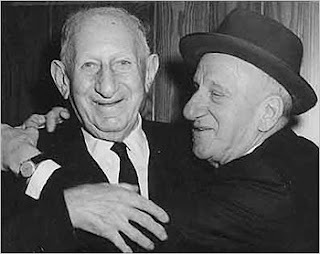 Comedian Jimmy Durante (right), was Weiss Hospital's first registered inpatient. For more historic photos of Weiss, go to Weiss History. Weiss is located at 4646 Marine Drive at Wilson in Uptown. Pumpkin cake mix are prepared with different shapes and types. Here you would get all type of cakes ideas which are best looking and tasty as well. The look of these pumpkin coffee cake are so creative and unique. Hi its was really good that you have shown interest in the things I am also interested. the efforts you and your team is doing. These are also some of the best products so far. The short term health insurance plans are easy to qualify and quite affordable. But it should be kept in mind that best bcaa supplements the short term plans do not cover the pre-existing conditions, preventive care or prescription drugs. You can easily purchase a short term health insurance plan.In 2014: the short term health insurance best bcaa supplements will not be complying with the requirements of the health reform law in 2014. Another of these which are really mentioned quite a lot is milk. There's nothing wrong with milk. If it's raw milk, keto slim 7 reviews it's got all the nutrients which will be really good for your body. It's full of protein, essential fats, and gives you strength. When a home health provider furnishes treatment to a patient, the duty to continue providing care to the patient is a duty owed by the agency itself and not by the individual professional who may be the employee or the contractor of the agency. Keto Burn Xtreme The home health provider does not have a duty to continue providing the same nurse, therapist, or aide to the patient throughout the course of treatment, so long as the provider continues to use appropriate, competent personnel to administer the course of treatment consistently with the plan of care. policyholders have to meet a larger deductible first for everything they need for medical and pharmacy to gain access to coverage from the ketozin insurance company. More and more providers can validate this information right away and require a payment from you before your visit with the doctor, or they will cancel your appointment. Red flags could be a medical claim code from a particular provider that are incorrect or supposed to be under a different code. retro lean forskolin It could be a wrong code entirely. This could be done unintentionally. If the hydration comes from Blue Solar Water, even better. Blue Solar Water is one of the tools we use in Ho'oponopono, this ancient best testosterone boosters Hawaiian art of problem solving that I teach, and that helps us erase those programs . The diaphragm is a large muscle that is responsible for respiration. When the diaphragm moves, it changes T7 Power Max how much pressure there is within the thorax - causing air to either enter or exit the lungs. Don't give up. Don't throw in the towel on eating right and moving your body. It's seems easy to take the "all or nothing" vital progenix approach but that's not necessary. Something is always better than nothing. Remember the ones with high water content like, grapefruit, tomatoes, cucumbers, cantaloupe and strawberries, will fill you up nicely. zyalix reviews Eliminate junk foods. Fried foods and white, refined sugar and breads are junk. All his 3 arteries were more than 70% blocked. Bypass was the only option. When he came home, his corpus was down by 25% - this in spite of diamond keto having a group insurance policy from his employer. It is not indicated the group physical training without a previous medical check of the persons. There are at least nike air max review 6 to 10 training weeks necessary to reach a specific level of the physical condition and the same period of time is necessary to loose the physical level. Wealth Protection is an area often neglected in lieu of Wealth Creation. Without an iota of doubt, Wealth Creation by doing smart investments Nutra Surreal Keto is definitely important. But what use is it if there is an imminent risk of losing all that you created over your life time - in a span of, say, a few months.